Stock Chart Pro announces results from its unique trading advisory service based on technical analysis that makes reading stock charts easy for beginning stock traders. Stock Chart Pro announces results from it’s unique trading advisory service that makes reading stock charts easy for beginning stock traders. 1. Moving Averages: Where all key moving averages are moving higher with price (for long setups). 2. Moving Average Convergence Divergence: The popular oscillator that tracks price momentum. 4. Multiple Time-Frames – Monitoring of various time frames in order to better understand where a stock’s price may be heading, depending on whether the trader is a position trader, swing or daytrader. With this unique strategy, Stock Chart Pro uis able to identifiy the market trend, calculates buy entry, and defines risk. Scanning thousands of charts searching for Historical Chart Pattern Comparisons also allows the user to have a trading edge. Including easy to follow “Rules of Engagement and a “Scaling Profits” strategy with suggested stops allows a beginner trader to keep things simple with trades that deliver high probability trades. 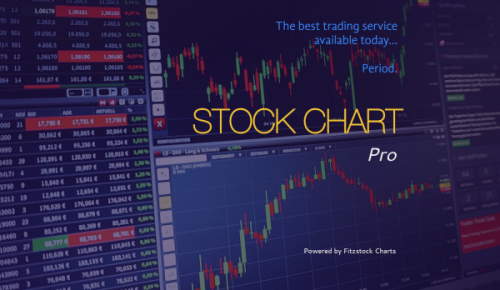 Using this proven strategy Stock Chart Pro has developed a track record with over 75% winning trades and over 900 stock options that have doubled. Stock Chart Pro, is a monthly subscription service designed to help educate subscribers in the area of stock trading. The service combines 15 years of market experience along with proven technical analysis of stock trends. 1. To exceed > 75% winning record per year. 2. To identify a risk profile and trading time horizon for each trade while using a scaling method with stops. 3. To ride winning trades and add to them when they reconfirm price strength. To date, since inception, the service has exceeded each these goals annually.